Here is the Toys R Us exclusive "Fancy New Road" 3-pack with Doc Hudson, Mater and green Ramone! It's part of the Radiator Springs classic collection and is possibly still out but, very hard to come by. I found mine at Toys R Us about two months ago. The reason this set is so rare is because it's one of the first times a normal Radiator Springs Doc Hudson (non lenticular eyes and not the "Hudson Hornet" crew chief) has been released since the original collection in 2006. The original single Doc Hudson (in it's package) from 2006 sold for up to $100 on eBay before this re-release which is crazy. I was happy when I found this set because Doc was the last main character I needed from Radiator Springs but was not affordable for me until now. 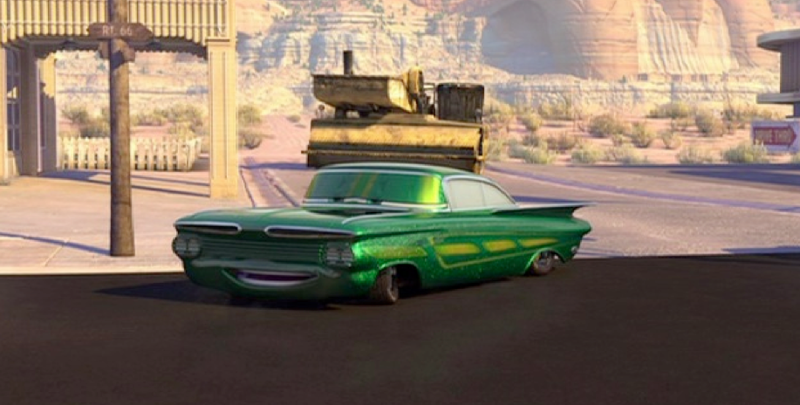 It just so happens that I needed green Ramone and a "non Cars 2" Mater too, so it worked out great!